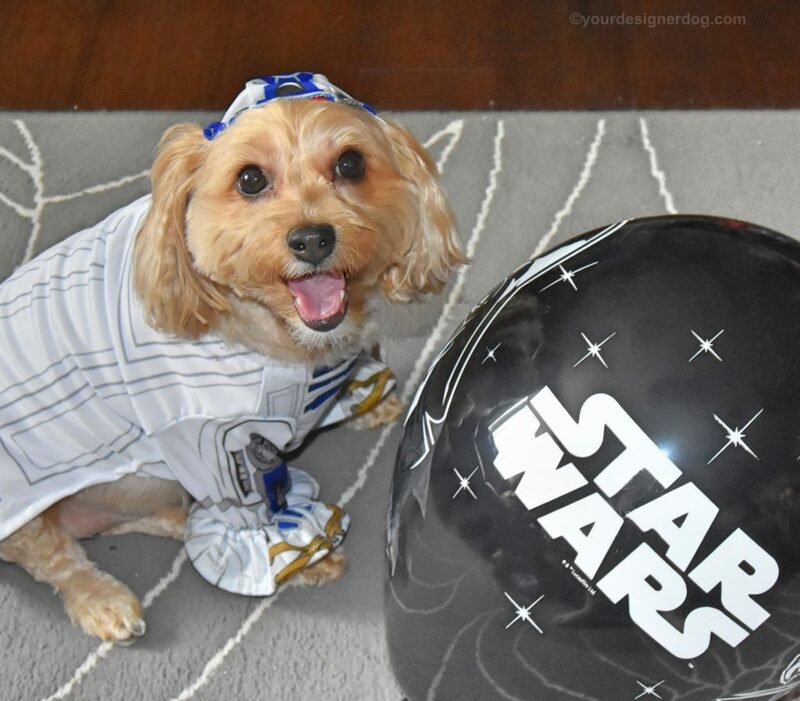 Every year on Star Wars Day, I dress Sadie up as one of our favorite characters (this year’s character is R2D2!) and then we have a movie marathon. Unfortunately Sadie doesn’t quite understand how sitting on the couch in front of the TV on May the 4th is different from sitting on the couch in front of the TV every other day. 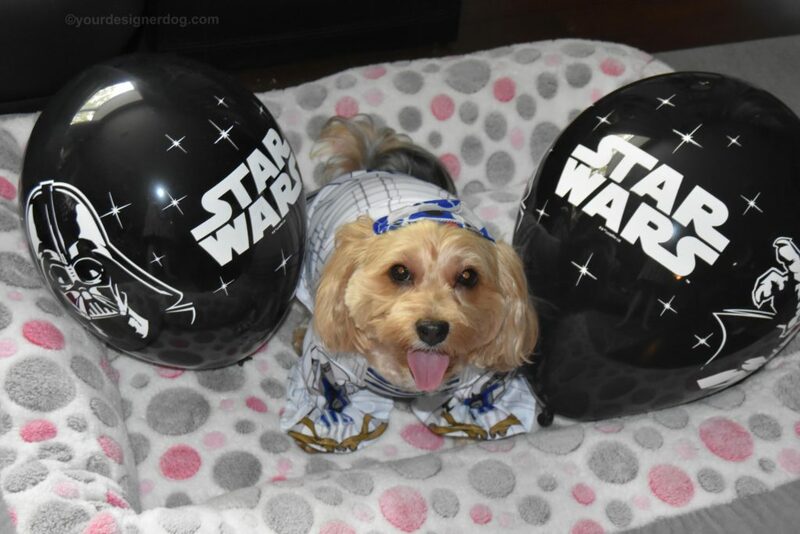 So to make Star Wars Day more special for Sadie this year I’ve added a new element to the festivities – balloons! 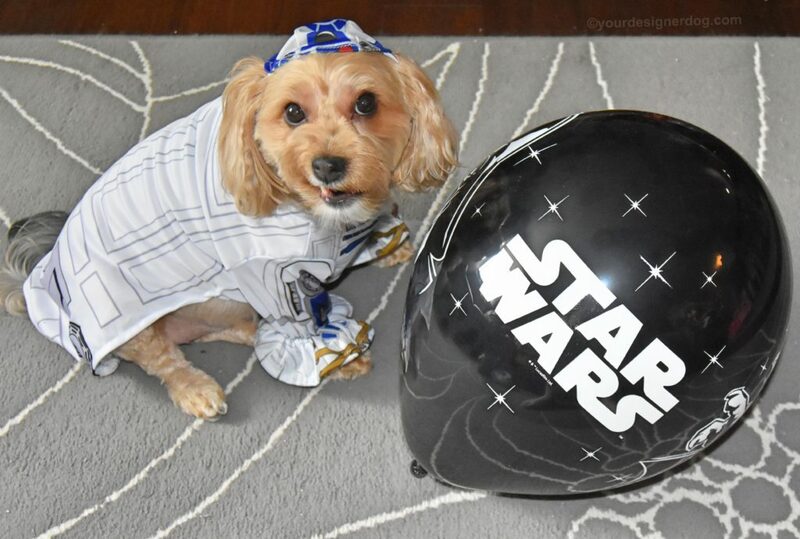 Now while we watch our movies, Sadie and I can play balloon catch and balloon fetch and Sadie can chase balloon Darth Vader all over the house!